Monette Manuel, 15, a fourth year student at the Ilocos Norte College of Arts and Trades, gave the top three reasons why they root for Daniel: effortless magpakilig, guapo, and mahal niya ang fans niya. The fans spoke as if they have known him for a long time and on a personal basis. They know his favorite colors (black and yellow), favorite food (lasagna and pizza), and the behavior he wants his fans to exhibit (ayaw niya ‘yung wild, dapat behaved). Over at the concert venue, the lines were already kilometric. Fans—some of whom came from neighboring provinces Cagayan, Ilocos Sur, La Union, and even Baguio—patiently waited for their turn to get inside the venue. Even VIP ticket holders, numbering around a thousand, came early. Everything was in place, including security and medical services which later on proved useful to fainting patrons. The plane arrived on time, and the welcoming team headed by Capitol media chief Jun Gudoy easily spotted Daniel who wore a baseball cap and dark shades. He was accompanied by his mom Karla, his former schoolmate JD, two marshals provided by his home studio ABS-CBN, his road manager Kuya Doh, and a Ms. Beth who helped facilitate the invitation for Daniel. The welcoming party draped a red lei around Daniel’s neck. Then, out of nowhere, a lady in CAAP (Civil Aviation Authority of the Philippines) uniform posed with him for a photograph and asked him to sign a collage. It was not a good precedent because other people in the airport following that example would result to a security nightmare. But the two marshals, whose arms were bigger than a beauty queen’s waist, were in their element. They quickly led Daniel to the van, but not before he waved and showed appreciation to his fans who were gathered around 15 meters away. It took less than three minutes from the time he entered the airport building until he left for Plaza del Norte where they were to be billeted. Along the way, the van, a Toyota Grandia, passed by hordes of elementary school students on their way home from school. 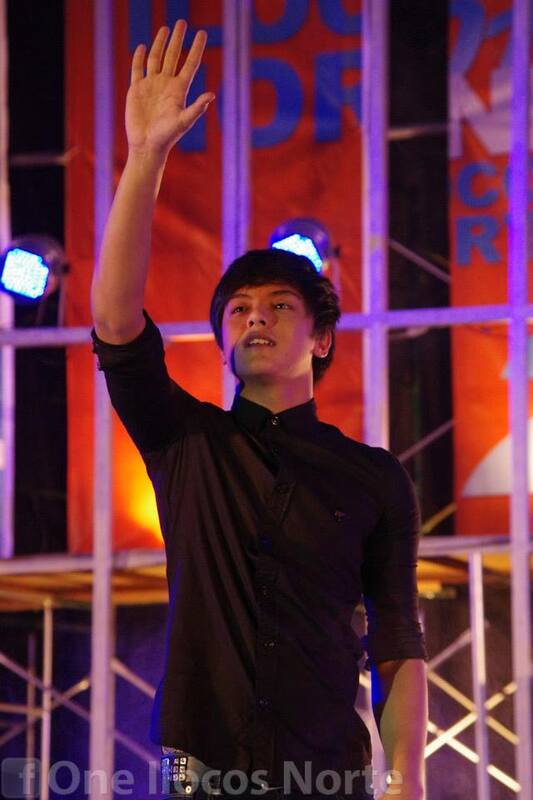 They didn’t have an inkling… Daniel Padilla just passed them by! At Plaza del Norte, Daniel’s party was welcomed by the Samiweng Singers who rendered the Ilocano Song Pamulinawen, followed by Daniel’s mega-hit song Nasayo na ang lahat, which has earned multiple platinum awards. Though evident that he was tired, Daniel’s face lit up while enjoying the serenade over welcome drinks provided by the hotel. The Samiweng Singers were to embark on a trip to Hong Kong that night, and so they were to miss the concert. But hey, if you cannot listen to Daniel sing, why not sing to him? I am sure members of the internationally recognized choir were all dreamy on their way to NAIA, cherishing the moment, and the photographs that captured it all. The local media was also present. They did a brief interview with Daniel before he proceeded to rest in a room he shared with JD. At the hotel lobby, fans began to swell. 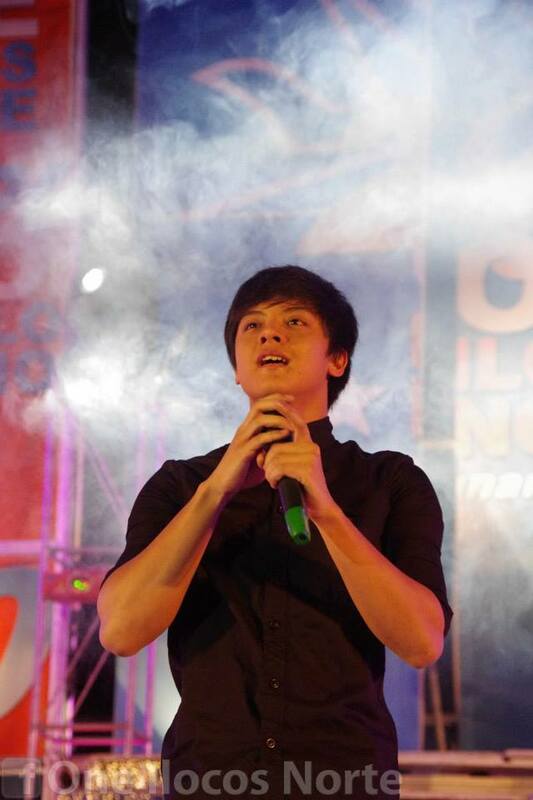 They patiently waited for another sighting of the country’s hottest young star. For dinner, Daniel requested room service for bagnet, a pork dish native to Ilocos, along with two plates of rice, the size of which are, in Ms. Karla’s terms, “pang-construction worker.” The mother didn’t at all mind that bagnet is cholesterol laden, saying “Bata pa naman siya. At ang payat-payat kaya niyan dati. Ngayun-ngayon nga lang siya nagkakalaman.” After dinner, Daniel asked for coffee which was served by the hotel’s good humored chief waiter. “Sir, eto na po. Nangingibabaw.” The coffee endorser was all smiles. Ms. Karla opted to have dinner at the café located at the hotel lobby. The table was set in an area a few meters away from the eager fans. On the way to the lobby, fans requested Ms. Karla, also an actress and singer, for a photo op which she graciously granted. Over dinner, the bubbly and down-to-earth Ms. Karla shared with me and Capitol media staff Nicole Rudio about his friendship with Governor Imee Marcos (who was out of town), her previous visits to Ilocos Norte, and how she takes care of Daniel. She admitted occasionally forgetting, like most mothers do, that Daniel is already a young man, no longer a child. At around 7 p.m., Ms. Karla reminded Daniel to take a bath and get dressed. The show started a little past 6 at the Centennial Arena, with stand up comedians and dancers serving as front act, and Daniel was set to arrive backstage just in time after the governor’s message is delivered by his son Matthew. The two marshals—who also accompany Ser Chief of “Be Careful with My Heart” in his public appearances—offered an alternative exit from the hotel, away from the waiting fans. Ms. Karla did not like the idea. “Huwag naman nating iwasan ang fans,” she said. “Ayusin na lang natin sila.” The fans were thus organized for picture taking by group. In fairness, the marshals knew how to protect their principal, but they were always respectful and tactful in dealing with the crowd. At 8:20 p.m., Daniel, sans cap and sunglasses, went out of his room. He was in black shirt with three-fourth sleeves, matched with black pants, and a refreshing scent that filled the air. He granted the request of some hotel staff and their families for pictures at the corridor before proceeding to the lobby where the fans have organized themselves. The young girls have practiced what to calmly say (“Daniel, please marry me,” “I’m yours,” “bring me home”) to their idol but all they could do were scream when they saw him in flesh. Amidst the chaos, Daniel knew how to show appreciation to his fans, and always said “Salamat po” at every opportunity. Approaching the arena, we noticed a car with its indoor lights left open. DJ kidded, “Kasalanan mo, ‘yan, Daniel, nataranta siguro ‘yung may-ari.” Daniel smiled. At the backstage entrance, there was a group of fans who have been waiting patiently for hours. However, given the adequate security, Daniel was able to able to alight from the van and proceed to the holding room without delay. I went directly to the main hall to check the crowd, and I had goose bumps to see, and be part of, the largest indoor gathering in the province’s history. Organizers put the crowd estimate between eight to nine thousand inside the arena, with another four thousand settling for the projector screens mounted around the compound. Thousands more opted to go home to just watch the live coverage on cable TV. 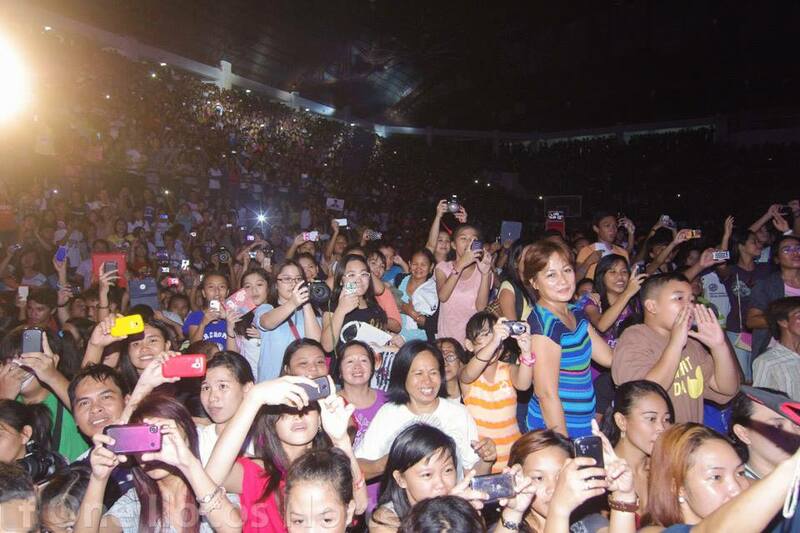 Not that I don’t know how popular Daniel Padilla is around the country. 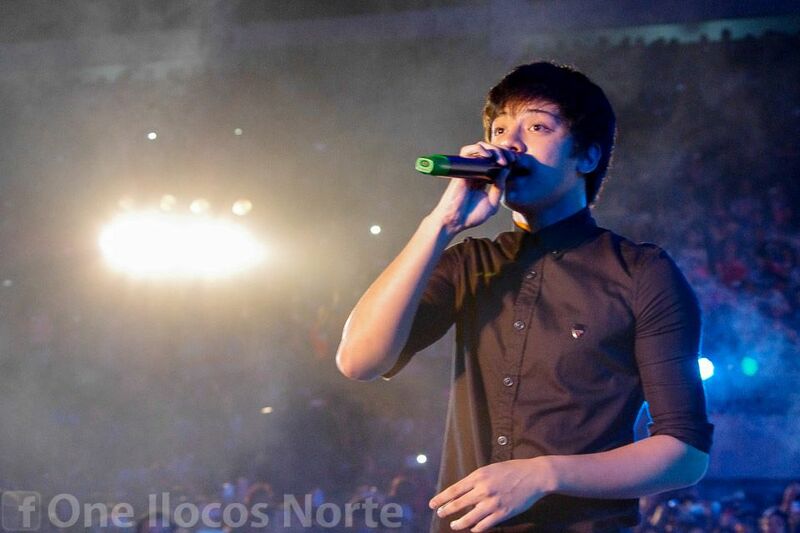 It’s just that even Daniel’s team was overwhelmed not only by the crowd’s sheer number, but by their intensity. And this says a lot because it is not unusual that popular artists performing here in Ilocos Norte feel disappointed with the Ilocano crowd’s stoic attitude. They just stand there. A brief applause is definitely a bonus. But the Ilocanos were not in their usual element that night. The crowd was loud, the energy was unmatched. While, as expected, the teen heartthrob’s concert attracted mostly young, shrieking girls, also spotted on the crowd were women of all ages, and, yes, even straight boys. Parents dutifully accompanied their children and mayors joined their constituents in the thanksgiving event for Team One Ilocos Norte’s success in the recent polls. 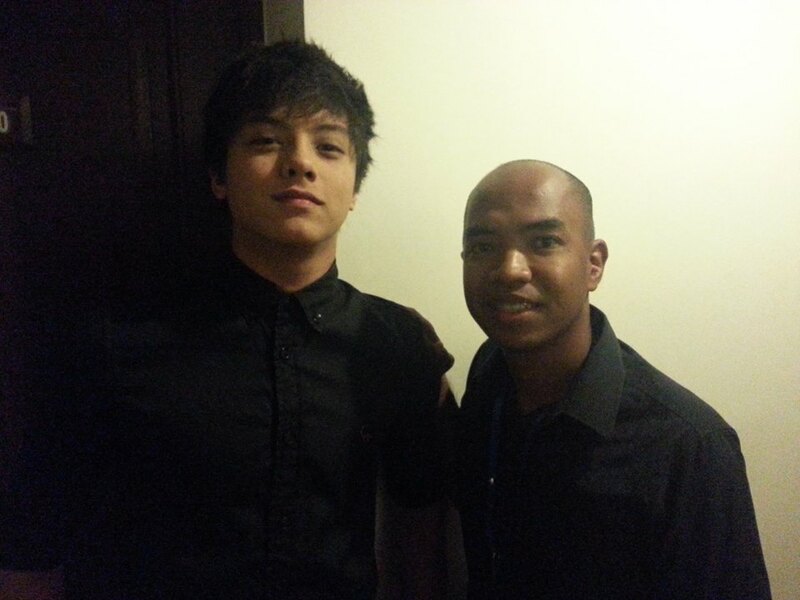 One particular male mayor was so thrilled, he reportedly cheered for Daniel with the energy of a teenaged girl. I really have not seen anything like this. Even the boys came. Here’s one (Chloie Calina of INNHS SSC) joining a contest during the front act. After a thunderous countdown led by hosts Stella Gaspar and radioman Spider Rodas, Daniel finally appeared on stage. My goose bumps swelled further, I looked at my skin, and I thought I was transforming into an alien or a sea monster. The feeling was really out of this world. It’s either a rock star has descended from the heavens. Or maybe heaven itself came to earth. I am out of words to describe the euphoria. 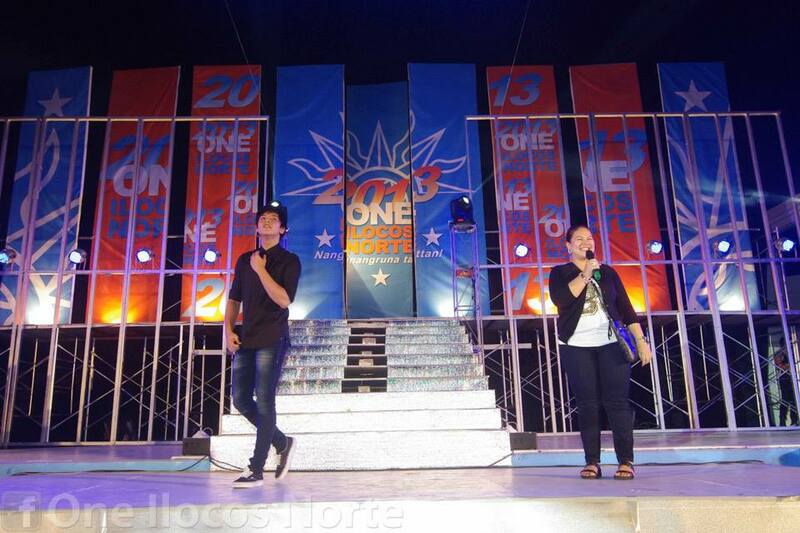 Daniel opened his performance with the song Kumusta Ka, going around the stage and off it to press flesh with his fans. Crowd control was good, and Daniel did his routine seamlessly. “First time ko po sa Ilocos Norte. Pero ang sarap po pala dito kaya parang gusto kong bumalik-balik,” he remarked before singing Hinahanap-hanap kita which he started by screaming “Adik sa’yo!” And, yes, it was not lip-synched as some predicted. It was live and loud. Daniel requested the crowd to join him in singing his third and supposedly final song, Nasa ’yo na ang Lahat, his biggest hit. He threw autographed t-shirts to the crowd, and God knows how hard everyone struggled to get hold of those shirts, but Daniel reserved the last one for a girl in wheel chair whom he approached and greeted. It was a touching moment. After the third song, we were expecting a goodbye, but Ms. Karla, overwhelmed by the Ilocano audience’s response, suddenly appeared on stage, and to Daniel’s surprise. “Ma, ba’t ka lumabas? Tapos na?,” he asked off-mic. Marveling at the jam-packed crowd, the proud mother said, “Sobra-sobra po ang suportang ipinakita ninyo kaya hindi ko po napigilan ang sarili ko para pasalamatan kayo.” And then she asked, rhetorically of course, if they wanted another song. In turn, Daniel asked the audience what song they wanted, and he ended up singing “Growing Old with You” for the encore, after which he thanked everyone and headed back to the holding room. From the centennial arena, Daniel went straight to Plaza del Norte to rest and to enjoy another serving of bagnet for midnight snacks. 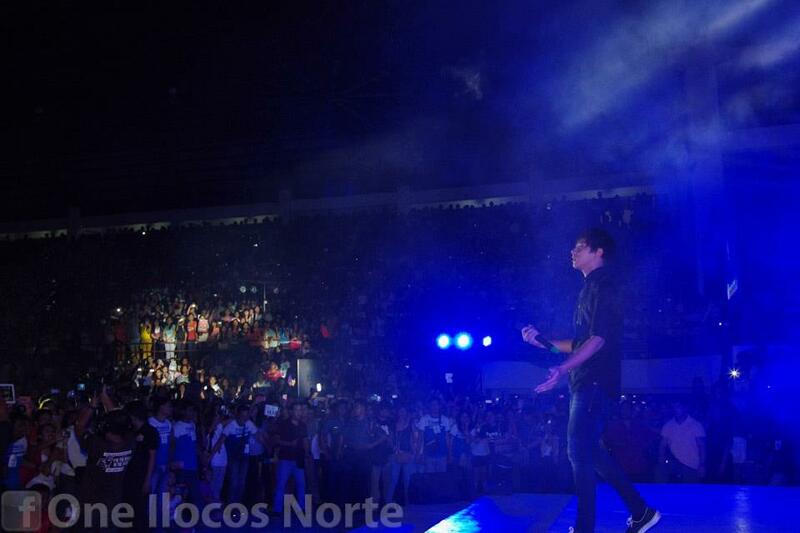 The concert-goers waited for hours, for some a whole day, to witness Daniel John Ford Padilla perform four songs in around twenty minutes. But they sure have memories to keep and share for a lifetime. And for someone like me who usually writes only about politicians, bishops, and social thinkers, this exposure to overflowing, unadulterated, electrifying charisma is one for the books. For in our third-world lives, any opportunity for hope, unity, and inspiration is always a welcome respite. Talaga pong nangingibabaw po siya sa lahat. Kaya po mahal na mahal na mahal po namin siya. Thank yOu, GovErnOr ImEe. NapAsAyA pO NiNyo KaMInG LaHaT! NaSa Yo nA aNG LaHaT!!!!!!! Thank you po Sir for sharing this. Maganda po talaga ang pagpapalaki kay Daniel at magandang modelo po siya sa aming mga kabataan. is it dennis or daniel? Good News to know, Although, I hope to see one day, an Ilocano Idol will be seen and have the same appreciation as his fans do. It’s not so obvious that you’re also a fan maestro :). I think I know the Mayor who was so thrilled by the young lad, hahaha. Maybe, your other reader’s guess must be as good as mine. gosh! i didn’t know na mafifeature toh dto =) hahaha i’m so proud dhil nainterview ako dat tym =) monette manuel here! thank you kuya for thisssss ❤ more power!